The sport of flyball involves fast dogs racing as teams against each other. This red t-shirt will show the dogs that their human partners are supporting them all the way! 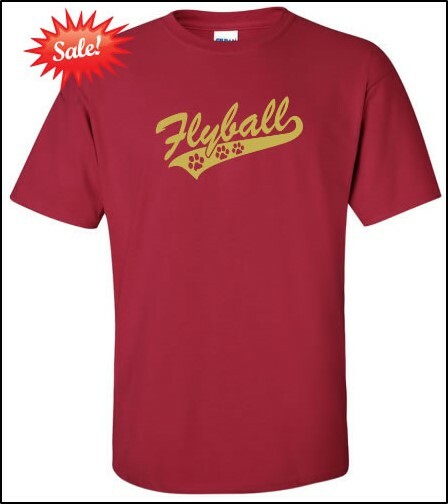 The cardinal red t-shirt has the word "Flyball" printed in yellow on the front with a yellow "swoosh" under the word. 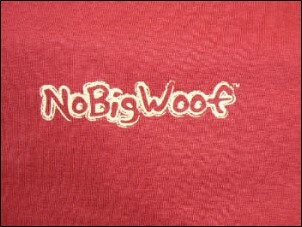 Words "NoBigWoof" printed on top back of shirt. Each t-shirt is made by Gildan and is a preshrunk 6.1 oz. 100% cotton crew neck style shirt in unisex sizes.